We love to grill & cook lots of yummy food for our family & friends. You may want to try one of our favorite 4th of July inspired burgers. Or, how about whipping up this Tres Leches cake? It’s always a a real crowd pleaser. We usually make it for the 4th or our Labor Day BBQ. 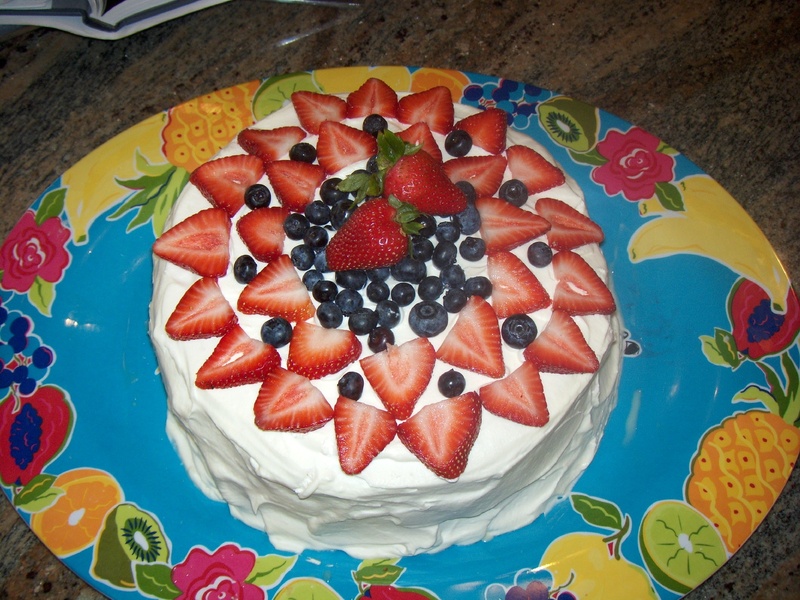 It’s fun to decorate it with fresh berries for some fun patriotic color! For the 4th, we place the strawberries & blueberries in a flag design. In a small bowl, stir together the 2 cups heavy cream, evaporated milk and sweetened condensed milk. Pour the mixture over the cake until it wont absorb any more. You may have 1/3 to 1/4 left over. That’s okay. 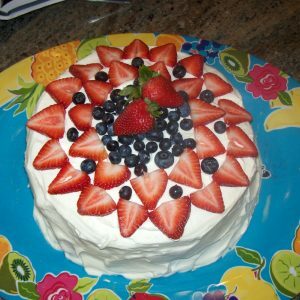 Combine the whipped cream and sugar, spread over soaked cake and decorate with strawberries & blueberries. Refrigerate cake until serving.